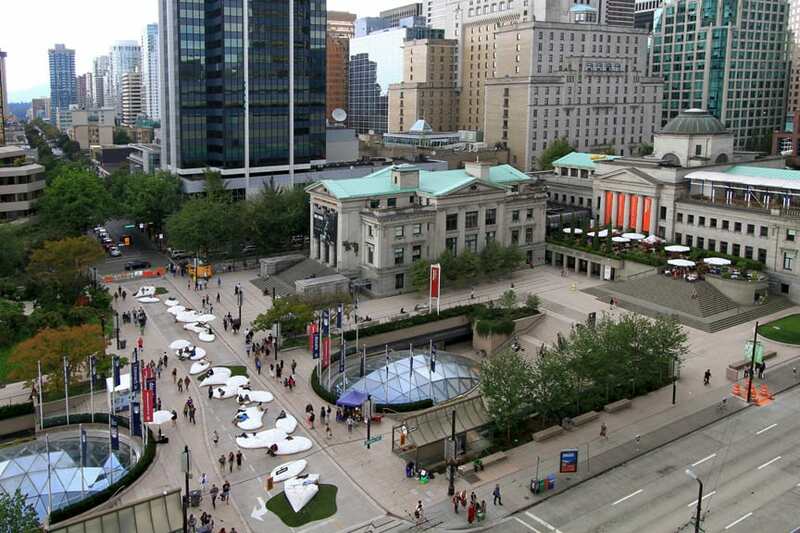 Pop Rocks is a temporary architectural installation commissioned by the City of Vancouver transformed a block of Robson Street in downtown Vancouver during the summer of 2012. 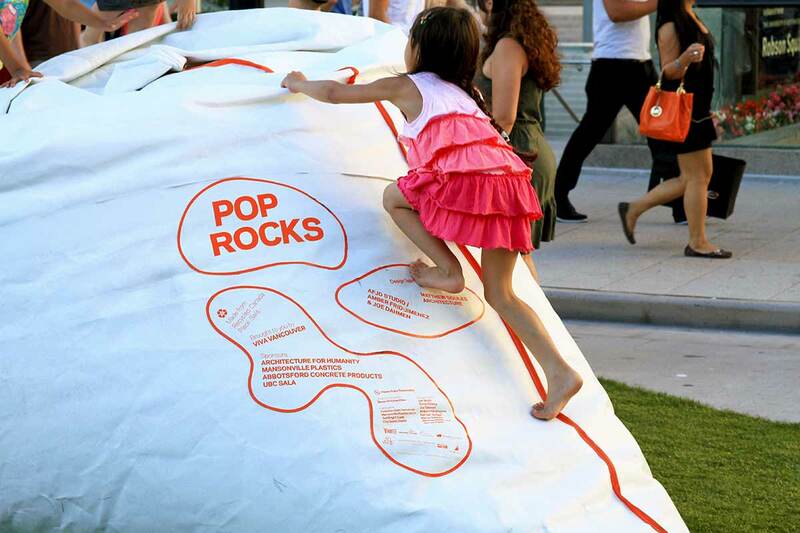 Pop Rocks is a radically experimental temporary design that borrows post-industrial waste on its way to be recycled. 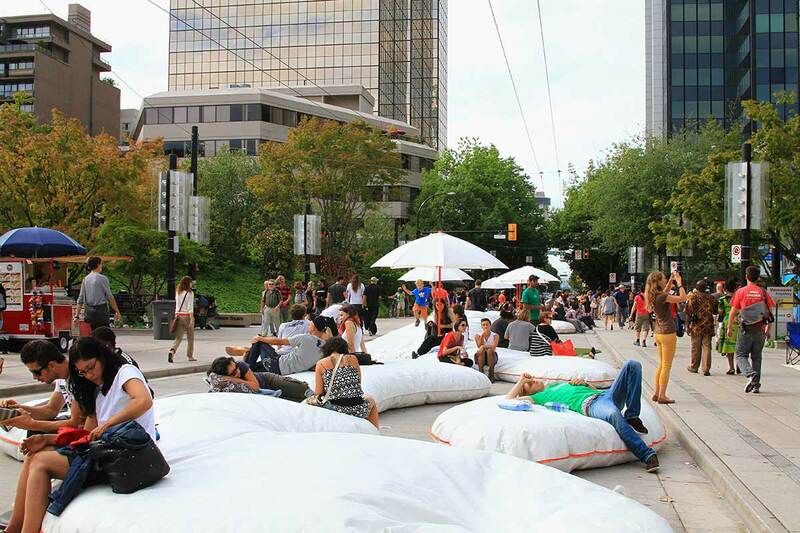 Pop Rocks deploys fifteen large pillow-like forms, made from post-industrial waste, across a city block to create an alien landscape that offers a soft place to rest while inhabiting a monumental presence at the centre of the city. Pop Rocks is radically sustainable, responding to the City of Vancouver’s ambition to become the greenest city in the world by 2020. 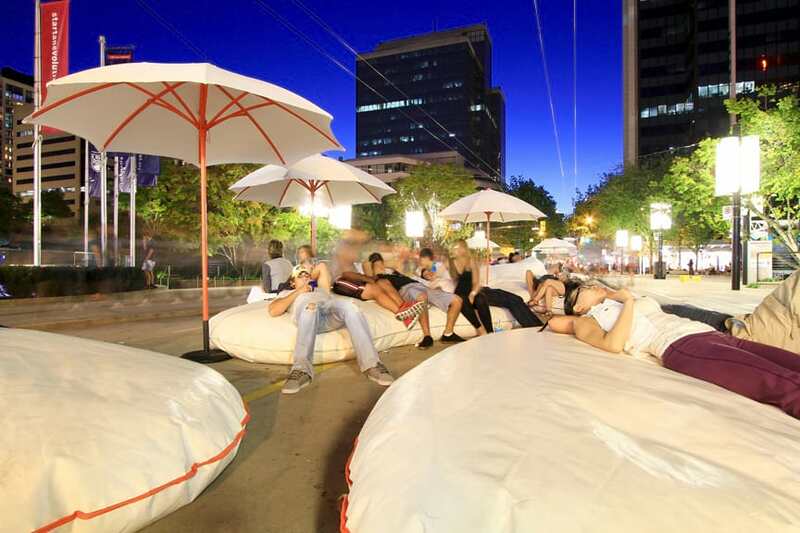 The installation is constructed entirely from re-used materials that will be recycled at the end of the project. 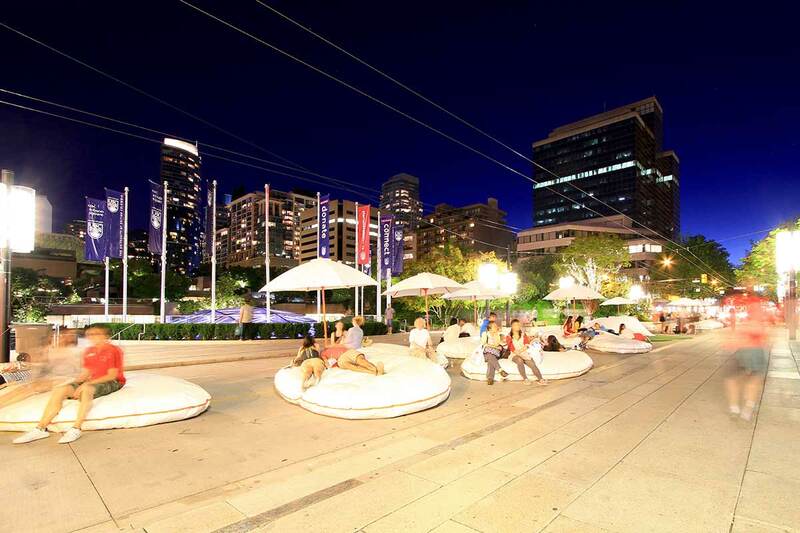 Each of the soft forms is sewn from recyled teflon-coated fiberglass fabric provided from the refurbishment of the tensile membrane roof of Canada Place, a local iconic building. Pieces of the roof were sewn by a local sailmaker into shapes that were filled with recycled polystyrene beads provided by Mansonville Plastics, a company that recycles polystyrene from throughout Metro Vancouver. Pop Rocks design methodology marks a departure from traditional top-down design methods towards a contingent, emergent, and tactical design ethos. Production team: Jen Boyle, Byron Chiang, Baktash Ilbeiggi, Warren Scheske, and Derrick Travis. 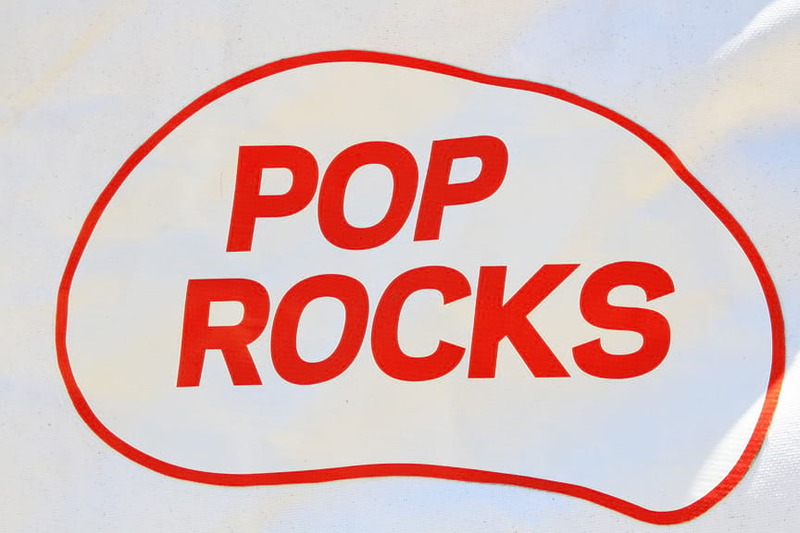 Pop Rocks is generously sponsored by VIVA Vancouver, Mansonville Plastics, Architecture for Humanity, Abbotsford Concrete Products, Synlawn, and University of British Columbia School of Architecture and Landscape Architecture.